I’ve been enjoying this series from it’s beginnings. Camilla Graham is a successful, suspense writer. She is also my favorite character in all the mysteries. There is a list of Camilla’s best selling books at the beginning of the mystery. Lena London is her assistant. Together, along with the help of very good friends, they solve the community’s mysteries. Camilla is a strong female. Confident, self-assured, poised. She’s professional and when there is an issue to resolve, she finds the strength within herself to resolve said issue. She is a widow and does have a gentleman friend she is seeing on a regular basis. In this mystery, a friend from the past, Jane, pays a visit to Camilla informing her, she wants justice for her family and if Camilla doesn’t do the right thing, she will publicly expose her husband’s secret. Camilla has no idea what Jane is referring to. When Jane is discovered dead, Camilla and Lena decide to investigate. This “secret” Jane was referring to, although not murder, is a very cold case. Camilla and Lena are investigating a forty year old mystery. There are dangers along the way and someone is trying to stop Camilla and Lena from discovering the truth. Good story! Well written! I highly recommend the entire series, but, please read it in order. 5 ***** stars! A BIG thank-you to Berkley Prime Crime! 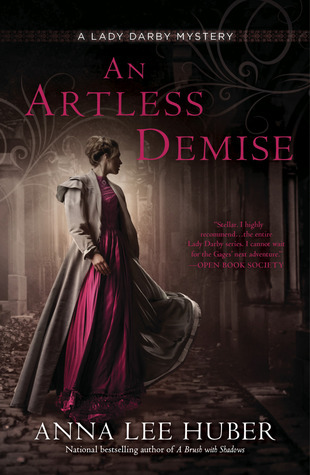 An Artless Demise is the first book I’ve read by Anna Lee Huber. I’ve seen her books on the shelves of our local bookstore many times, and have contemplated reading one, so, when my bookish friends at Berkley Prime Crime offered me the opportunity to read one of her mysteries, I went with it. 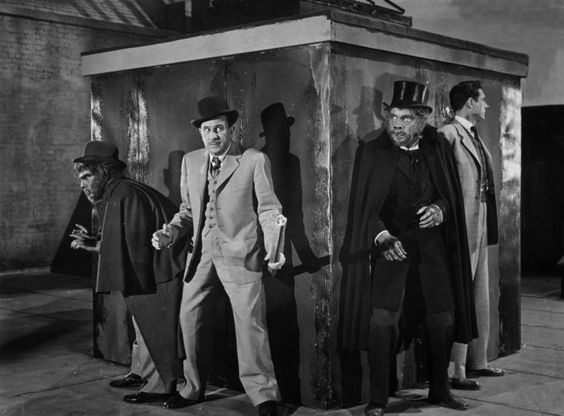 London is scared and aghast when it is discovered criminals are killing people and selling their bodies to medical schools. Kiera’s deceased husband was involved in these atrocities and Kiera’s past comes back to haunt her during this time of fear. Kiera and her new husband Gage are expecting their first child and Kiera fears for her baby and her husband. It’s a stressful time for the young couple. She receives a blackmail letter which could send shivers up anyone’s spine and the young heir of a prestigious family is discovered murdered. The heir’s father asks Gage and Kiera to investigate his son’s death and find the killer. As tensions rise in London Gage and Kiera must stop a killer before there is another victim. This story could have been macabre or morbid with gory details, however, the author did a wonderful job writing the mystery with a very minimal amount of gruesome details. Kiera is a lovely lady with a considerable amount of strength, however, I don’t think she realizes how strong she is. Anyone who knows her, would soon realize she couldn’t possible be guilty of the heinous crimes her former husband was involved in. Gage and her friends are completely supportive and assist her in any way they are able. I thought Gage was an interesting man. He’s a “take charge” kind of guy while loving and tender toward Kiera. The streets of London and the escalating mobs are well described. If you enjoy historical mystery, this might be the mystery for you. 3.5 *** stars! 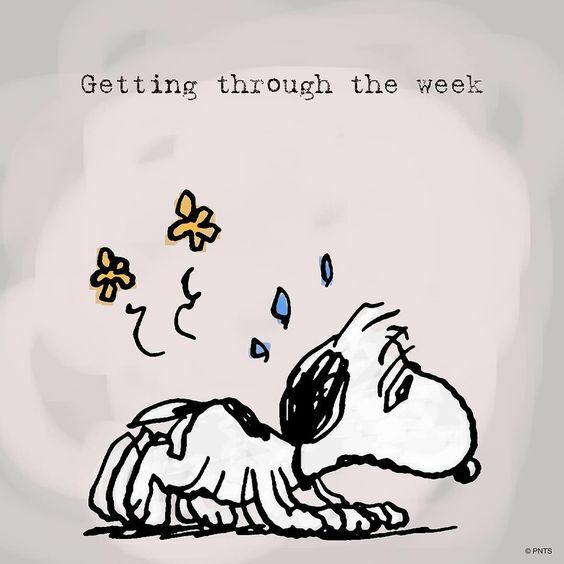 Ramblings And What Not ~ Woe is me! This is one crazy film! 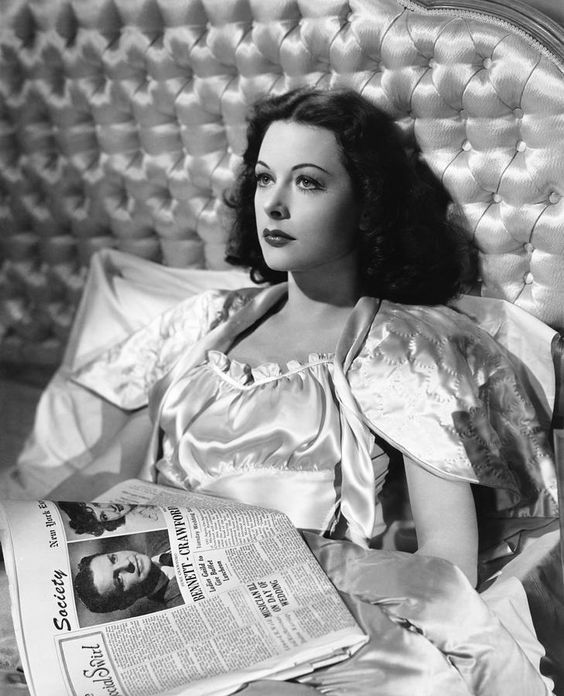 🙂 I never thought I’d see Hedy Lamarr in a comedy, but here she is! Now! Let me see if I can get this straight. Duke Crawford (Robert Cummings) is an overworked advertising executive. The poor guy meets himself coming and going! Michele Bennett is (Anna Sten) his former fiancé. She wants him bad! She is pursuing him and that woman has tricks up her sleeve! She doesn’t give up easily. She’s in the perfume business and he wants her to sign a contract for his advertising agency. She won’t sign unless he marries her. Poor Duke is running from his former fiancé. His newest client, Dr. J. O. Loring (Hedy Lamarr) is a psychiatrist and has written a book. 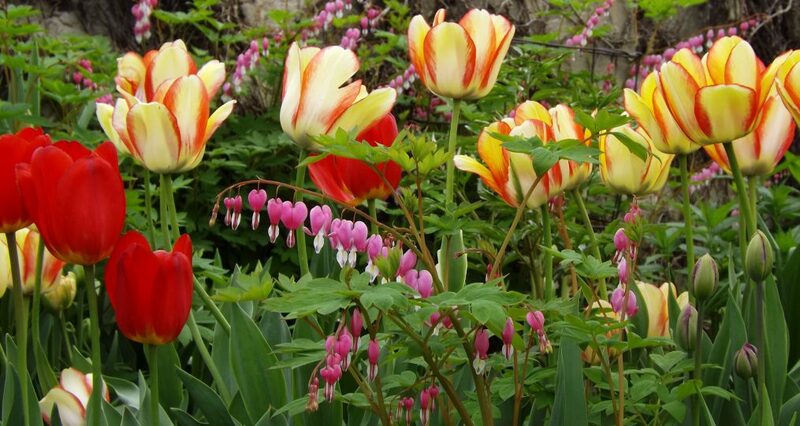 Of course, when the over worked Duke goes to meet the doctor, he doesn’t realize she is a woman ~ until he meets her! Oh no! Another woman!!! He doesn’t seem to want another woman in his life. He can’t sleep. He’s hearing things! Is he going crazy??? My my my. I recommend it! Hello Peoples! Berkley Prime Crime is giving away one copy of Death Waits in the Dark by Julia Buckley. 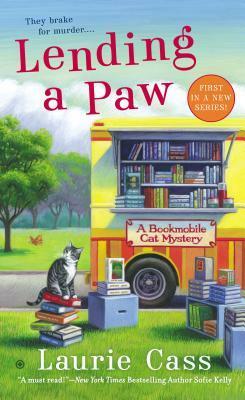 This is the fourth book in the, Writer’s Apprentice Mystery. 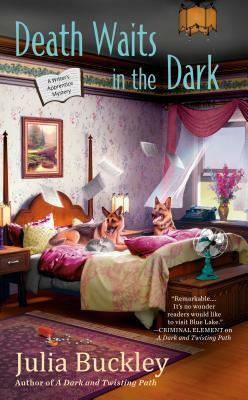 If you would like to be included in the drawing to win this cozy mystery, just leave a comment below informing me you would like to be entered. I will then enter your name in the drawing. The winner will be announced on this blog, along with my review, Wednesday, April 3, 2019. This giveaway is for U.S.A. residents only. You must have a valid U.S.A. address to win. Hello Peoples! Berkley Prime Crime is giving away one copy of, An Artless Demise by Anna Lee Huber. The cover art is beautiful!